Forbes gave an interesting stat on the candidate selection process: Fifty-six percent of all hiring managers are more impressed by a candidate’s personal website than any other personal branding tool; yet, only a mere 7 percent of job seekers have a personal website. We’re always looking to answer that one question when searching for employment: How do I stand out from the competition? Well, if more than half of the people looking for talent favor personal websites and not even one-third of the talent have them…I think we’ve found our answer. It’s pretty much safe to say most things have transferred to online. And by creating your very own online portfolio it shows that you understand the importance of keeping up with this technological shift as well. Sure, you can walk into an interview with a briefcase and sprawl your physical portfolio folder across the table. But, wouldn’t including a link to your online portfolio in your application not only eliminate you having to lug that briefcase into the interview, but help positively affect the interviewer’s first impression of you? An online portfolio can increase your visibility as a job seeker. As opposed to a simple online application (and even LinkedIn profile), adding an online portfolio helps better promote exactly who you are and your talents as a job seeker. In writing, people often say, “show rather than tell the reader.” Having an online portfolio showcases your work experience, projects, achievements and skills as opposed to your resume simply telling potential employers. Instead of reading “Implemented a Go-Green initiative company wide,” employers can physically see this initiative through your online portfolio—whether that is through photos and/or a link to the program’s site. Again, having an online portfolio can automatically put you ahead of the competition (or at least get you recognized sooner) because this is rare among job seekers. It’ll show just how much you’re committed to building your personal brand; your level of professionalism; and that you’re willing to dedicate the necessary time and effort in bettering your career opportunities. This is a very simple tool that allows users to create a one page homepage. You can link your social media accounts and even other sites (if you have your own website). About.Me is more for the job seeker who doesn’t have a ton of experience or work samples to showcase, yet still wants to have a professional online presence that helps employers get to know him/her more. Workfolio allows users to create professional websites quickly and affordably. The company has a variety of plan and pricing options and even offers a free domain name with subscriptions. (Having your own domain is another plus). An example of a great portfolio on this site is of a woman who lists “BA, MBA, Entrepreneur, Design Thinker, Visual Artist, Zumba Instructor” as a quick line about herself. On her site, she lists everything she’s currently seeking, which includes consulting opportunities, employment and mentorship. She offers a timeline of her career and even links her latest tweets and LinkedIn profile. Her page gives employers a better overall picture of her, her talents, employment history and what she’s looking for now. 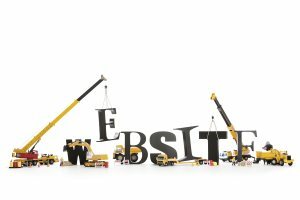 Wix claims to be the leading website builder company. It offers a range of free website templates from everything from real estate and transportation industry based to advertising and marketing and entertainment. The templates offer multiple page designs or you can build your own site from scratch.